The Toufou Trio is the latest, delicious addition to our DOUCHOU range. 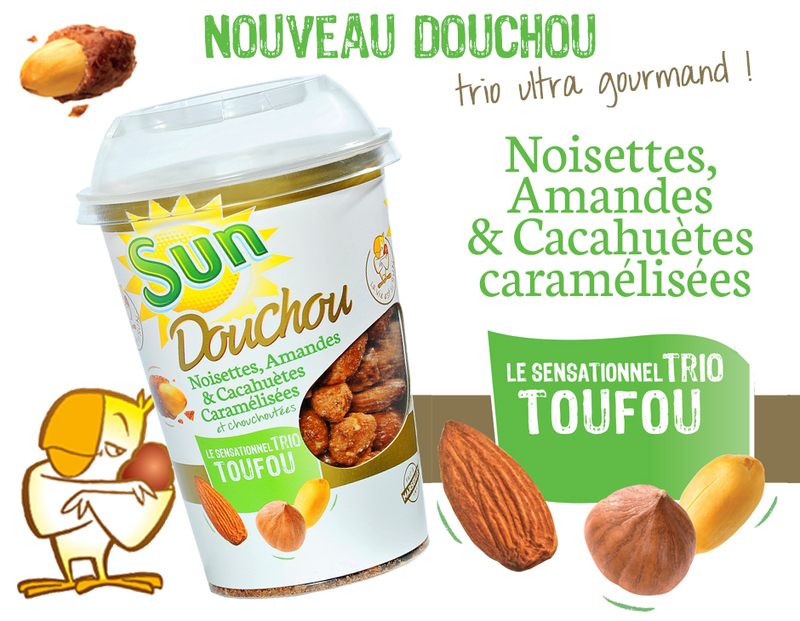 Our sensational Toufou Trio features caramelised, coated almonds, hazelnuts and peanuts. Three times the flavour – three times the pleasure! This utterly delicious recipe comes in a 250g cup, adding to our existing Douchou range of caramelised, coated peanuts. So now you can choose from the original variety and three more flavours (salted caramel, coffee and desiccated coconut). For more information, visit our website at: www.sun-fruitssecs.fr.